In this modern day and age, businesses come under a lot of pressure. Whether is the ever changing climate, latest tech enhancements or the increased traffic and wave of data that is transferred between systems – our platforms have to remain robust. As these pressures increase, costs can start to escalate – Why? Many companies haven’t had the time or aren’t willing to commit the time to optimise their systems. Leading to cash flowing out the door. This flow of loss can be attributed to numerous areas, but for Eaton they have concentrated on helping businesses to optimise their power management. For many companies, their idea is to keep adding to their systems. Yes, this allows them to provide for their customers. But how much money is being thrown away through not managing and maintaining their systems in the most efficient way possible. Eatons approach is to reduce the waste by implementing safeguards that offer temporary repairs instantly, that can be managed centrally -reducing the cost of on-site engineers. Fortunately, with Eaton’s assistance, there’s five steps to enable your business to reap the rewards of optimising power management within your IT architecture. Not only will your systems be robust, but intelligent. 1. Protect your valuable IT assets from power issues and ensure business continuity. Having the right UPS in place to protect your IT assets against power issues and your business from unexpected downtime is the first step. But with an increasing number of business applications running on virtualised platforms, it’s critical that your power protection extends to your virtualized servers. This is the next step. With power management software in place, you get clear visibility across your entire power ecosystem. And with intelligent power management software, you can integrate your power management infrastructure with your virtual environment and manage it all through a single pane of glass. To optimize protection of virtual servers, consider Eaton virtualization-ready UPSs. In combination with Eaton´s Intelligent Power Software, they can be monitored and managed from your virtualization dashboard – initiating disaster recovery policies in the event of an alarm. 2. Distribute and increase efficiencies and reduce operating costs with improved power distribution. 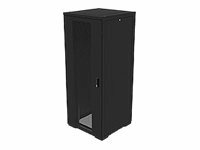 While UPS protects your IT application, power distribution takes care that the power from the UPS is distributed between IT appliances you have in your rack. Modern power distribution units can also help optimize IT efficiency, lower costs and improve business continuity. The next generation of Eaton advanced rack PDUs (ePDU G3) incorporate monitoring and management capabilities. So, in addition to distributing power from the UPS to your IT appliances safely and efficiently, modern distribution units will enable you to monitor and measure power consumption in an IT rack, remotely shut down power during an outage, and help initiate disaster recovery policies. 3. Organise IT equipment in your IT rack reliably and efficiently and reduce cooling costs. Racks and enclosures are among the first pieces of equipment deployed in a data centre or server room and you should make sure you house your IT appliances properly and efficiently. 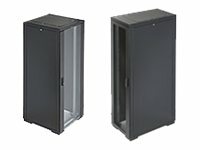 Appropriate cable management and storage accessories are important for keeping racks neat and well organized, and air containment configurations ensure optimized cooling in your data centre. Ensure you have the optimal housing solution for your IT appliances with Eaton’s comprehensive range of IT racks suitable for different needs and able to build up airflow containment configurations to lower costs and improve the safety of your work environment. Complimented by Eaton virtualization-ready rack power distribution units (Eaton ePDUs) and rack mountable UPSs, they build the appropriate power management solution, which help ensure high IT efficiency, lower costs and better business continuity. 4. Manage – Integrate your power management infrastructure with your virtual environment and manage it all through a single pane of glass. Combining Eaton’s Intelligent Power Manager Software with Eaton’s virtualization-ready UPSs, you can ensure high uptime of IT applications, data integrity and business continuity. 5. Maintain your power devices properly to extend their life and achieve a greater peace of mind. UPSs and rack PDUs help you protect your IT environment, but they can also fail. That risk of failure must be managed too: how can you make sure your protection is also protected, minimizing risks and potential extra costs? That’s why servicing is critical to ensure the optimal performance of UPSs and rack PDUs while minimizing the risk of downtime. An effective preventative maintenance strategy can be one of the most cost effective measures you can take in your data centre. Eaton offers an extensive range of Distributed Services for new and running power devices through its channel partners. You can ensure that your power devices are protected from possible failures by purchasing an extended warranty period which can ensure you piece of mind for many years to go. Fulfilling each of these steps can be achieved with the help of Eaton’s year of industry leading experience, support and portfolio. Manage power your way, and implement a robust intelligent power management strategy today.